I took these photos with my iPhone during the Venus / Jupiter conjunction February-March 2012. Also included is a screen shot from the Star Walk app next to a photo of the same point in the sky. The last 3 images were filtered and sent to Instagram. 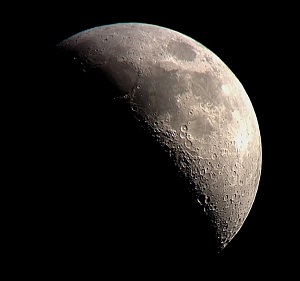 Maybe if this whole iPhone astronomy thing takes off we'll start to see more Instagram astronomy as well! The pictures look similar, but the Moon is on the left of Venus for pictures in March, and the Moon is on the right of Jupiter for pictures from February (Jupiter and Venus switched places).